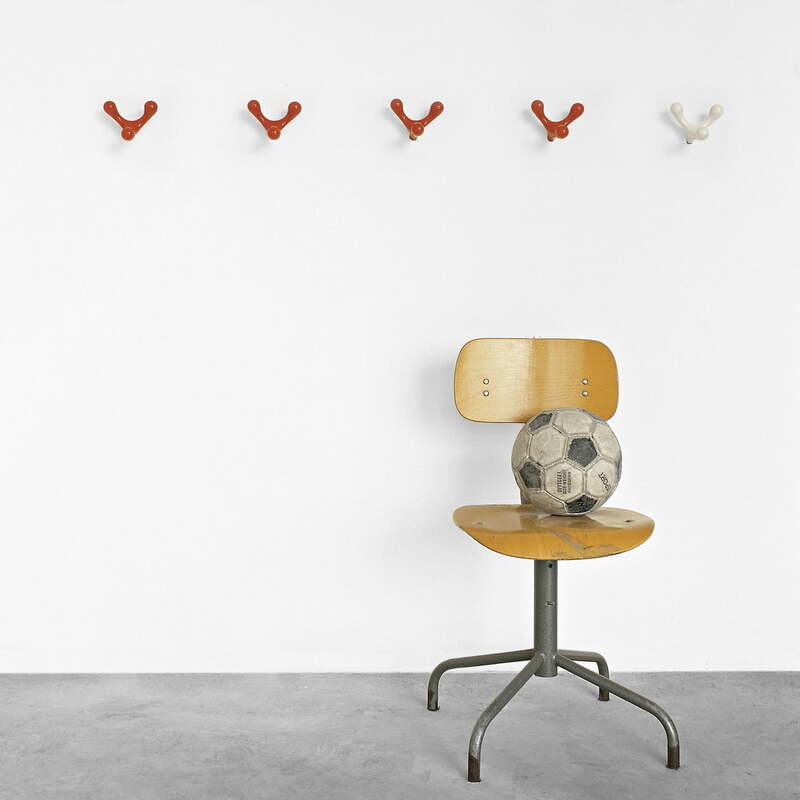 The Hang-Up hooks are artfully crafted hooks by Salvatore + Marie for Kristalia. 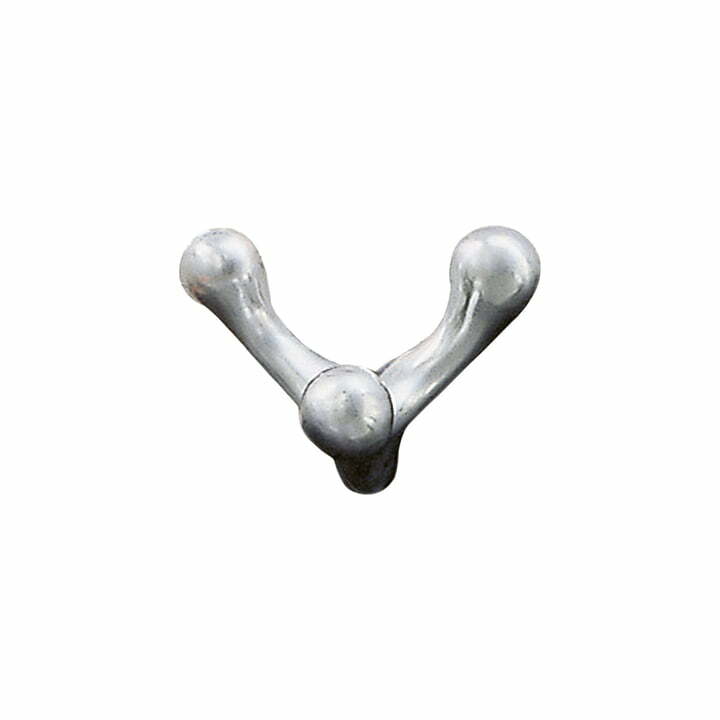 Made with the permanent mold casting from aluminium, the hooks are dynamically designed and stable - ideal to hang up jackets, coats, scarves and other clothing in the hallway or dressing room. Like a trophy the unusual hook Hang-Up by Kristalia presents itself on the wall. The ergonomically shaped coat hooks are not only decorative but also functional: Like that bags, jackets and other accessories can be presented in a stylish way on the three hangers. 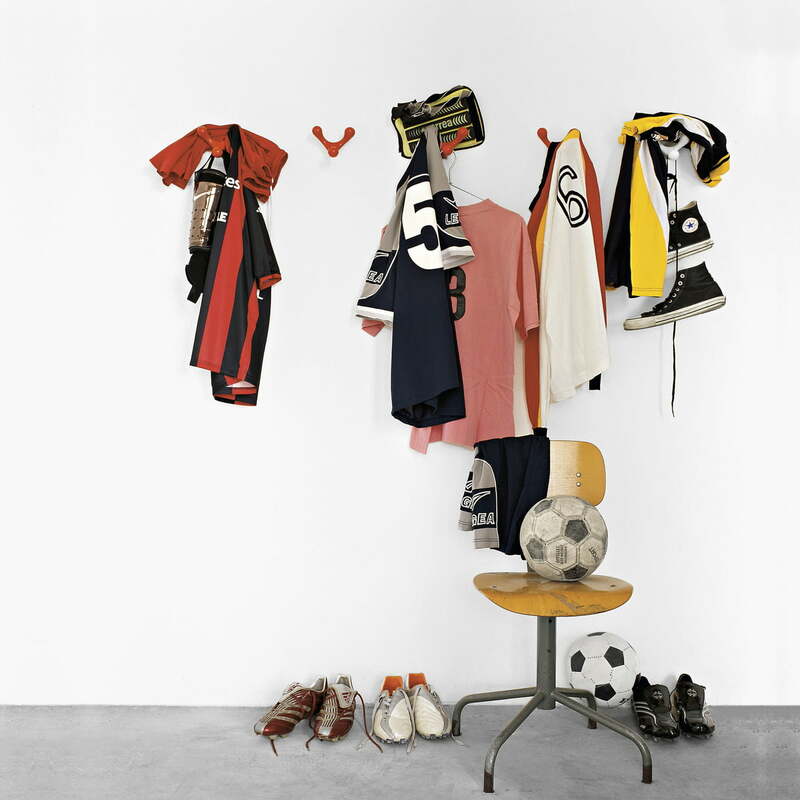 "We wanted a design object which decorates the wall already before using it as a hanger. A peppy shape which caresses the hanging objects like the fingers of a hand." Available in brushed aluminium and painted in white or red, several Hang-Up hooks can be combined to a fancy wardrobe. 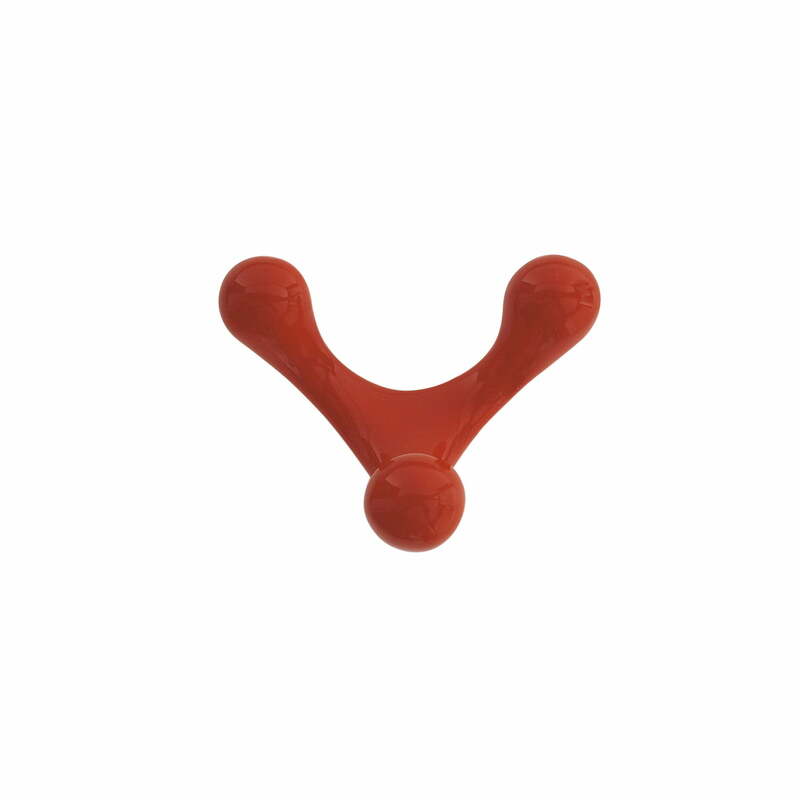 The Hang-Up hooks can be individually combined and applied to different heights. Like that adults and kids can easily hang up jackets, bags and scarves. 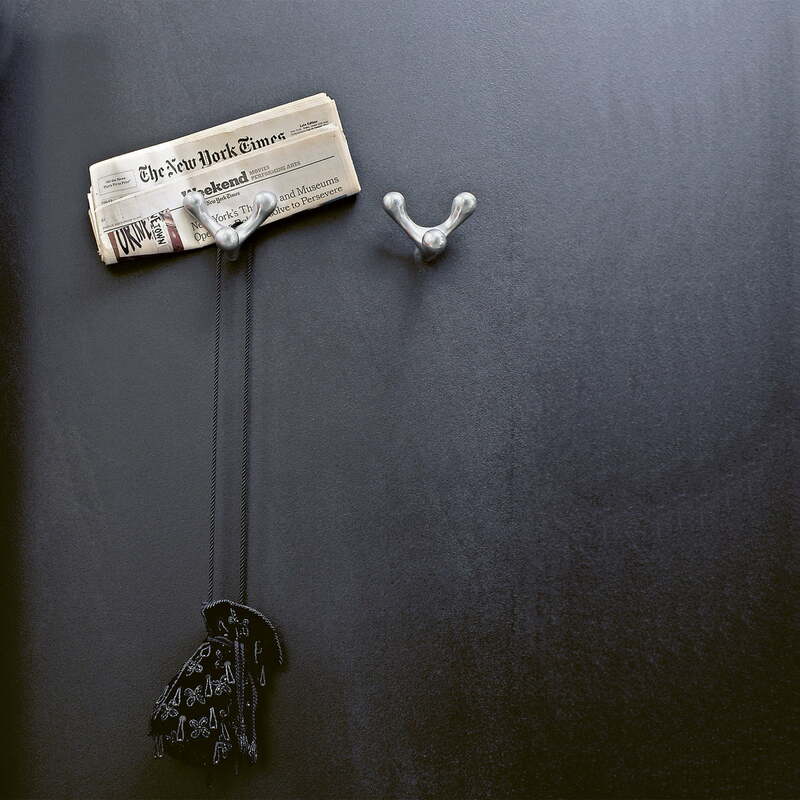 The Hang-Up hook by Kristalia - such as the fingers of one hand - mount bags, newspapers and other accessories securely to the wall. An elaborate storage option for the corridor.